Wash on Monday, iron on Tuesday, mend on Wednesday… you remember how it goes in Little House on the Prairie, don’t you? And Saturday was baking day, Ma churning out loaves of bread, jars of cookies, and some real, lard or butter-filled pies. I love the idea of getting all of my baking done in one day, don’t you? But then there’s stories of piping hot pans of cornbread and corn dodgers coming to the table once per day, in the same Little House series, nonetheless . There’s the history of corn tortillas in the Americas, how they were made at least once a day, sometimes several times per day even. Hmm… so which is better or, more to the point, which will make you more efficient in the kitchen? I’ve been doing a lot of baking lately and through the process have come up with a few thoughts on the topic. First of all, I think different circumstances warrant different approaches. When my husband and I were first married and for the first couple of years after having children, baking once per week worked pretty well. Just a couple of loaves of whole wheat bread and a batch of cookies would last us 5-6 days. Now, however, we’ve got a few more mouths to feed. So I thought I’d break down the pros, cons, ins, and outs of each approach. Theoretically, this is great for items that keep – bread, cookies, granola, etc. I find that sourdough bread keeps longer so making four loaves per week seems like a good option for keeping a family well-stocked. I think this approach also saves on dishes as you can do larger batches, reuse bowls, or do a quick wash up when all is said and done. Furthermore, it can be done swiftly if all of the ingredients can be brought out and then stored away so there is no back-and-forth to the pantry or working around other kitchen projects currently happening. The downside I see is that you really do need a large opening in the day to make this work. If you’re already crammed to the gills with your daily tasks then it seems you’re more likely to give up on a big baking day than a small window of baking every once in a while. This then defeats the purpose as you’re spending money on store-bought baked goods that might not be as good for you. There are also some baked goods that don’t keep well – cornbread, tortillas, and soda bread for instance. Maybe I’ve already given myself away but this approach seems more doable for a large family with small children and a small kitchen or oven. We fit the bill for this pretty well and I’m starting to eschew the full day of baking for a small window that will serve us for a couple of days instead. One of the easiest ways I’ve found to bake a little day is to have a few recipes that have very little hands-on time that will also make enough to serve you for a couple of meals. The No-Knead Bread concept is one of those recipes and I’m sold on its efficiency. 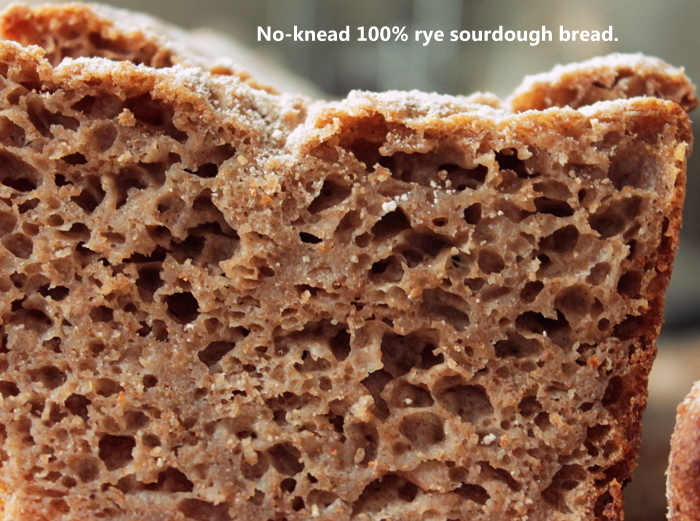 I’ve been making a wheat-free 100% rye sourdough no-knead loaf and am loving it. I simply mix up all of the ingredients, let it bulk ferment, and then scrape the dough into the pan and let it rise and then bake. 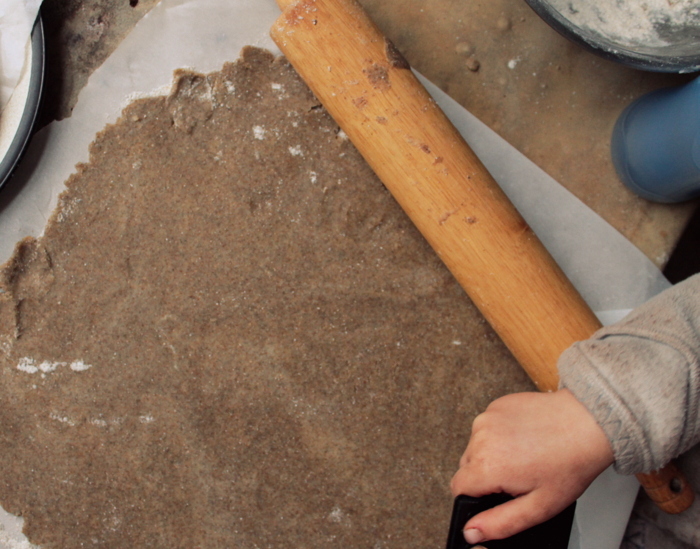 The hands-on time is very minimal and it’s something our whole family can eat. And then there are the quick breads that just demand day-of making, but which can also serve for two days worth of meals. Tortillas are an item that is best made fresh, but you can make a double batch with your tacos and reheat them quickly on the griddle the next day for quesadillas. 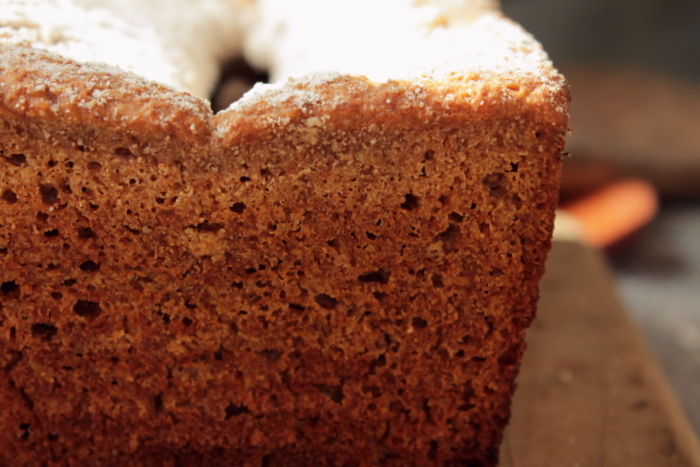 Cornbread can be made for supper and then eaten with milk and fruit for breakfast. Irish soda bread can be eaten fresh from the oven and then dried as bread crumbs for the following day’s breading. The only downside to baking a little every day is the extra dishes it produces. But we’re making dirty dishes anyway and I haven’t quite found a solution for that one yet.